The Elite (EE) Series fits the needs of nearly any workspace: healthcare, laboratory, industrial, education and office. This versatile ergonomic seating is designed to meet clean room and static control/ESD demands and functional design requirements. 13-year warranty. 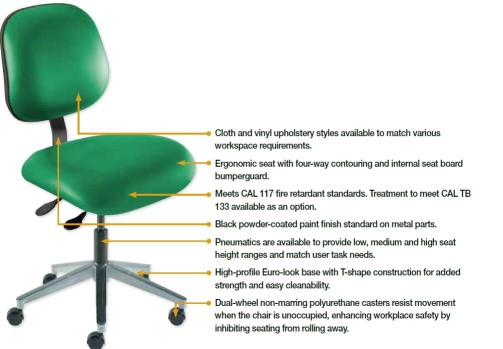 The Elite (EE) Series come with cloth and vinyl upholstery styles available to match various workspace requirements. Ergonomic seat with four-way contouring and internal seat board bumperguard. Meets CAL 117 fire retardant standards. Treatment to meet CAL TB 133 available as an option. Black powder-coated paint finish standard on metal parts. Pneumatics are available to provide low, medium and high seat height ranges and match user task needs. High-profile Euro-look base with T-shape construction for added strength and easy cleanability. Dual-wheel non-marring polyurethane casters resist movement when the chair is unoccupied, enhancing workplace safety by inhibiting seating from rolling away. Elite Series Standard Components are 18.5"W x 17"D x 3"T seat, 15.5"W x 14.5"H backrest with lumbar support and plastic protective panel, soft touch pneumatic seat height adjustment, fixed rearward 3.5° seat tilt, backrest tilt and backrest height adjustment, grade 2 upholstery. 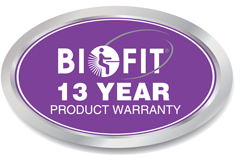 Nearly all BioFit products are warranted to the original purchaser against mechanical or structural failure due to defective material or workmanship for 13 years of normal, multi-shift use. 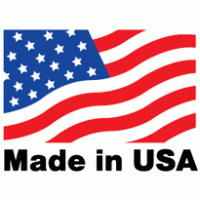 Pneumatic cylinders are covered for the functional lifetime of the chair or stool. BioFit seating complies with ANSI/BIFMA X5.1 product safety and performance standards guidelines as established by the Business and Institutional Furniture Manufacturers Association. BioFit seating is also LEED compliant for use in commercial interiors.